There are many questions that revolve around getting a new pet; while dogs can seem friendly and easy, they can certainly present some issues, especially during the puppy years. The pomsky is definitely not an exception to this fact. Therefore, you should take the time to learn every piece of information possible before purchasing one of these cute puppies. The following questions and answers will hopefully jump start the process of finding the perfect pet for you, which may likely be the cute and playful pomsky. How Much Do Pomskies Shed? Every dog, unless you shave them bald, will lose some of their hair throughout the shedding process. Unfortunately, the pomsky is one of the more significant shedders out of all the dog breeds. Their coat is most similar to the Husky, rather than the Pomeranian. They have soft, fluffy hair that easily falls out, especially without regular brushing once or twice per day. How often do pomskies shed? Normally, the shedding phase happens twice during the year and will last roughly three months each. The amount of excess hair can be significantly reduced by combing with an undercoat grooming brush from the local or online pet store. These usually have multiple rows of long stainless teeth that can pull out dead and shedding fur from the inner layers without damaging the topcoat, which will prevent any of it spreading throughout the house. The combs have some learning curve to get the best results, but dogs often enjoy the feeling of the combing, so the process is relatively quick and painless. A lint roller or vacuum designed for animal hair will easily collect any leftovers that wind up on the furniture or clothes. How Big Do Pomsky Puppies Get? The fact that the Husky and Pomeranian can breed is quite surprising, considering the drastic size difference. The variance between them can be upwards of fifty five pounds. The size of the pomsky is an average of the two breeds at roughly twenty to thirty pounds and ten to fifteen inches tall. 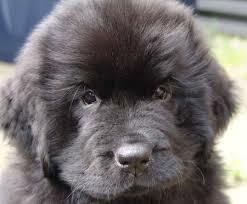 They are the perfectly sized medium dogs for situations ranging from wide country yards to small city apartments. The size is very manageable without being too fragile. They can be handled by children and adults, and any roughhousing goes without the worry of any injury. Large yards and constant outdoor access is not a necessity. Of course, regular bathroom breaks and daily exercise is suggested for the health benefits. The exercise could be walks through around the block, playing tug of war, or throwing the ball or Frisbee for thirty minutes to an hour. 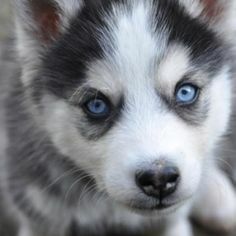 A blue eyed Pomsky in all its cuteness. With the appearance of a miniature Siberian Husky, they are incredibly cute. Their back is usually dark brown or black, while their stomach and legs are white. They also have the characteristic pointy ears, fluffy curled tails, and possible heterochromia iridium, which is the disorder resulting in differently colored eyes. However, as Pomsky is a relatively new breed, the appearance is not entirely consistent among newborns. For example, floppy ears and long straight tails are possible; these are also difficult to spot during the beginning puppy months, so the final appearance is hard to predict. They could grow up to look more characteristic of the Pomeranian. Their behavior can also be difficult to predict. However, the result of the two parents breeding is often very desirable. Common traits are intelligence, loving, and energetic. These can turn negative when improperly handled though. Without regular exercise and playtime, pomskies can use their energy for destruction. They will chew up furniture, cushions, and dig, but this can certainly be avoided with the proper attention. The pomsky can also be well trained quickly and easily with the correct techniques, so potty training and basic tricks are certainly no trouble. While this wonderfully cute breed can certainly make wonderful and friendly pets, you should know exactly what to expect when purchasing one of these tiny puppies. If you are allergic to shedding hair, too busy for playtime, or unable to properly care for these lovable little dogs, you would be better suited for another breed or different type of pet entirely. However, an energetic and caring owner would absolutely fit perfectly with the pomsky. You can visit the local breeder with enough knowledge to have complete assurance that your life will be filled with strong companionship for the next thirteen years. I heard pomski’s are a scam. Is this true?